Life is beautiful gift of god given to us. Out of so many creation on earth human being is god's best creation. The people who were with us in childhood can never be forgotten. We come across so many persons in life but few remains part an partial of our achievement. We play role decided by nature but ultimate result comes from effects of our family, friends, society and teachers . Character is build up in childhood and sustained by how we are cultivated. Sometimes our life takes turn and motive behind is not known to us. Patriotic culture when cultivated in initial life makes our future growth in right direction. Few persons have been sent specifically for us only. Those days where education was more of Sanskar makes us to stand in all odd times. Bharat has destiny to make welfare of world. For this so many noble people came and worked in this sacred land. Out of these one was real son who dedicated his life for nation. He was Dr Hedgevar. 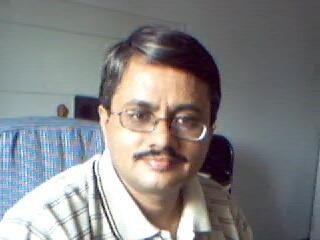 Way of working was daily system of making character building in person and creating self confidence , unity and pureness. This system was named Shakha (RSS). I am fortunate to came in contact of this organization and learnt lots from there. On eve of of my birthday I pray god to give blessings to continue this yagna life long.